The 2018 Acura RDX safety ratings reveal a sleek luxury crossover SUV that instills confidence for families in Port Washington. including a 5-star Overall Vehicle Safety Rating from the NHTSA* and a 2018 Top Safety Pick from the IIHS when equipped with AcuraWatch safety features. 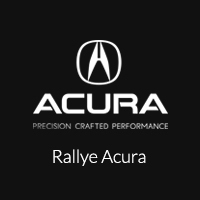 ** Check out some of the top safety features on the new model here, and take it for a test drive in Roslyn at Rallye Acura. Make your way to Rallye Acura to step inside the Acura RDX and test out its performance capabilities. Our dealership is located near Manhasset at 1750 Northern Boulevard in Roslyn, NY, and you can reach us at (516) 508-9147.